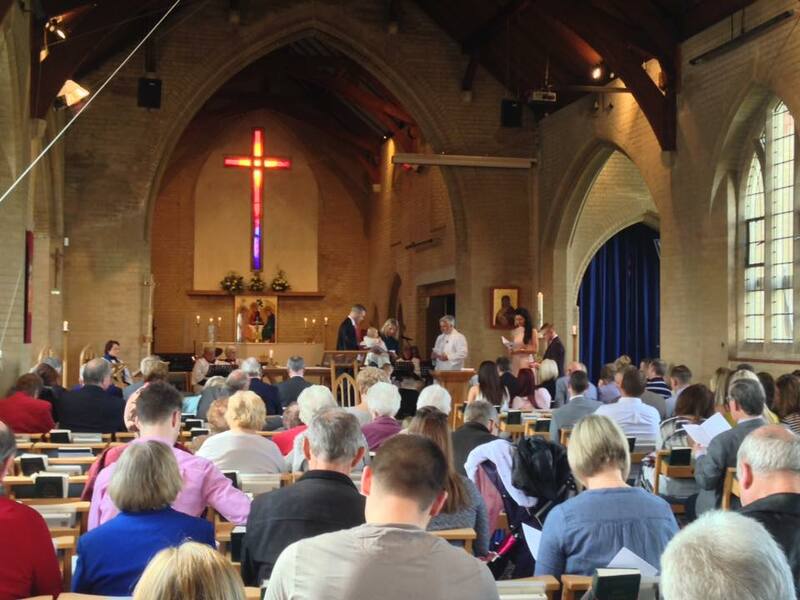 St. Mary’s is an Anglican Church, part of the Church of England, and our style of worship is open evangelical/central. 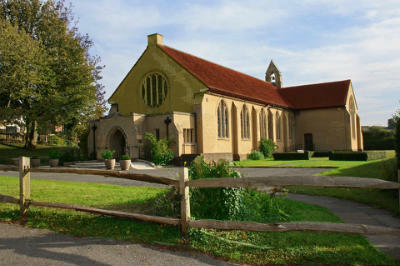 The Church, set in the former village of Green Street Green, was constructed in 1937 and seats approximately 200 people in the main body of the church. The church still has a rural setting, surrounded on two sides by farmers’ fields. St. Mary’s is situated on the eastern edge of the Parish. 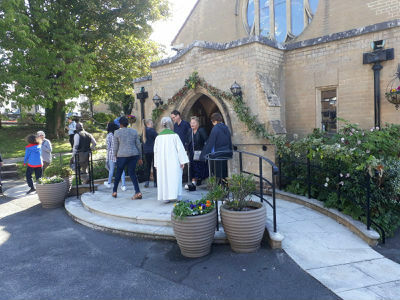 Structural additions to St. Mary’s have been made over the years and these have included the Lady Chapel, providing a more intimate setting for worship and prayer, and Church Hall in 1959 and an extension to the Church Centre in 1992. The two war memorials for WWI and WWII are located in the entrance vestibule to the church, listing those that served and died in the wars from Green Street Green. The coloured stained glass cross was installed in 1997 replacing plain glass. In 2008, an oak wood font was commissioned to replace the original stone font. New bespoke furniture to match the font was installed in Easter 2011, including leaders chairs, communion table, lecterns, processional cross, candle holders, paschal candle holder and Bishop’s chair. In November 2012, to celebrate 75 years of St. Mary’s, a new stained glass window was installed over the main entrance door. This depicts Ezekiel 47—’The River of Life’ and was designed and made by members of the congregation. The Church is committed to Outreach and Mission. We support both local, national and international societies. There are several home groups which meet regularly for fellowship, discussion and learning about the Christian faith. Some meet during the day and others are in the evenings. The traditional Choir sing at the 10am Service, weddings and other special occasions. Both children and adults are most welcome to join. Contact Graham Winter, Organist. St Mary’s is committed to encouraging interest and involvement in artistic and creative works, as a way of expressing our faith and as an act of worship. Artistic works by members of the congregation are regularly displayed in the church. A course on Art and Spirituality was recently developed and run for members of the congregation. 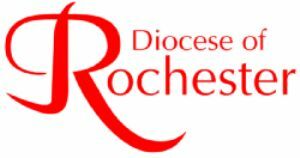 St Mary's Drama Group meet to explore ways of expressing our faith using performance within the church setting. We welcome folk of all ages who are interested in helping us do this. Contact Petra Rea on 855745 for more details.